Finally found a good, old fashioned donut shop in town. Ronald’s Donuts are fluffy, fresh, and delicious. How can anyone resist that? The shop is located in an unassuming strip mall on Spring Mountain Road near Chinatown. I’ve probably driven past it dozens of times, but never thought to stop there until one day, I found myself on a quest to find an old fashioned donut. After being disappointed with several chain stores, I nearly gave up when a friend tipped me off about Ronald’s. What really sold me is the fact that they offer a selection of vegan donuts. It may not sound too appealing, but I doubt if most could even tell the difference. Believe me – I’m glad I tried it. Ronald’s reminds me of Winchell’s back when donut shops were popular. 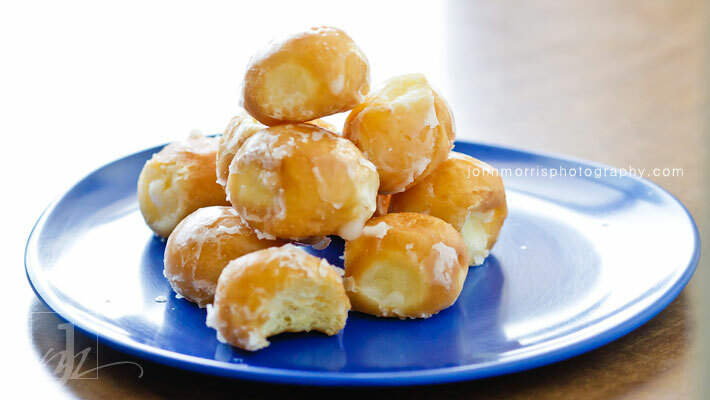 They also have some of the best donut holes for $1 per dozen. If you’re visiting Las Vegas and are in the mood for some fresh, traditional donuts with vegan options, this place is definitely worth the five minute drive from the Strip. Last week we spent two days shooting poker stars Evelyn Ng and Amanda Musumeci for a Bodog promo. The theme of the shoot was lifestyle with a cinematic Vegas feel. Although coordinating a full production on a tight schedule was challenging, my commercial photography experience has taught me to always be prepared for the unexpected. It can be a challenge to meet the varying, sometimes conflicting needs of clients, models, art directors, etc. As a photographer, you are often expected to execute specific ideas under difficult situations even when you don’t get to call the shots. It’s not always an easy job but I guess that’s one reason why I enjoy it. Luckily, we had a fantastic team that made everything go as smoothly as possible. 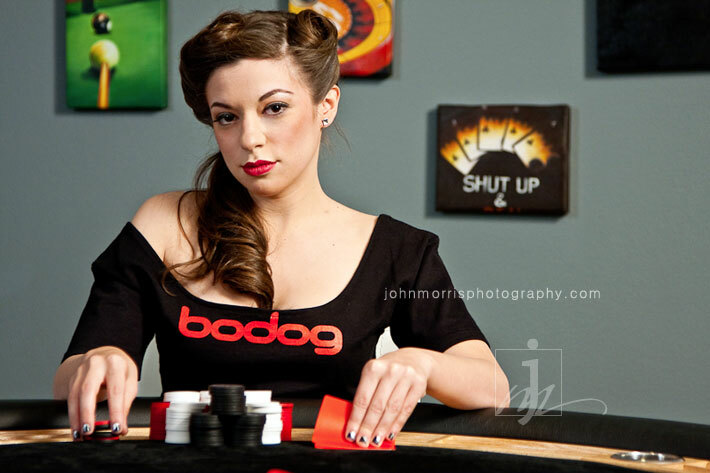 Emily from Bodog was a huge help in arranging all the details and was great with the models. Our fabulous makeup artist Megan from Makeup in the 702 made the girls look absolutely stunning and did a wonderful job coordinating all the outfits. With such a great team, the shoot turned out perfectly and we got tons of killer images. The photo shoot took place over several locations starting off in-studio and later moving to a very cool poker themed room inside the luxurious Panorama Towers Las Vegas. We had planned to wrap up downtown with the city lights as a background, but due to weather conditions and time restraints we ended up scrapping that idea. However, Evelyn was nice enough to offer the crew access to her amazing high rise condo to use as a set. The incredible 360 degree view of the Las Vegas strip from her balcony made a fantastic backdrop. Needless to say, everything turned out better than we had originally planned. The girls were an absolute pleasure to work with and it was a blast capturing each of their unique personalities. Evelyn, one of the world’s top established female poker players, was very sweet, patient, and incredibly down to earth. Amanda, the newest addition to the Bodog team, kept things fun and lively with her energetic personality. Check out her featured article with photos from the shoot here: Amanda Musumeci on WomanPokerPlayer.com.